Commercial truck accidents are the most serious of all crashes that take place on New Mexico roads today, and across the country. A number of factors can cause truck accidents, often ending in severe injuries to the surviving parties. For example, a head-on collision between a semi-truck and a passenger vehicle can leave some victims dead and others critically injured. Accidents of this nature are on the rise and the number of deaths is expected to continue to grow with each passing year. According to the Insurance Institute for Highway Safety, nearly 4,000 deaths occur from accidents involving a large truck each year. The data suggests that number will increase due to the high traffic volume of commercial trucks traveling cross-country. Passenger vehicle drivers need to be more cautious on the road today than ever before, but so do other commercial truck drivers. 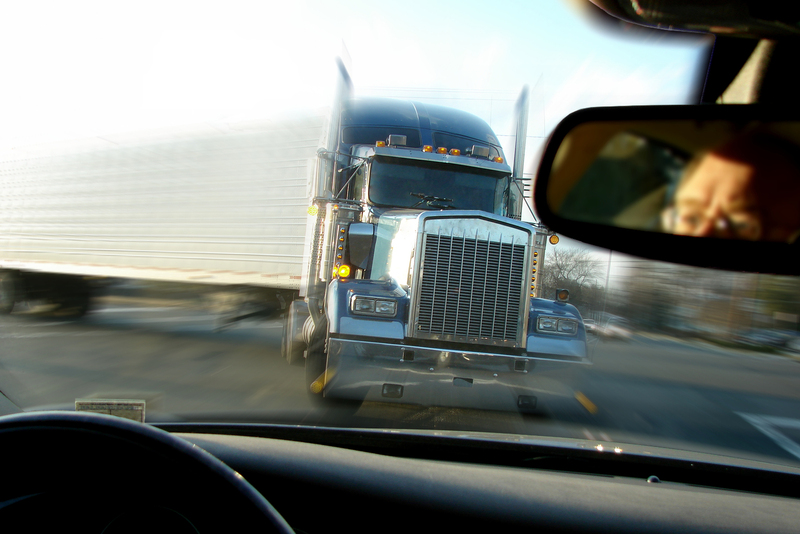 What happens in a commercial truck accident? At the end of 2017, a commercial truck accident occurred in Bernalillo County in New Mexico that left one man deceased and another in critical condition. This wreck was different than most because the majority of truck accidents involve one commercial vehicle instead of two. The cause of this collision was not not known. A number of factors can cause a commercial truck accident, including driver fatigue, mechanical failure, or poor road conditions. In most cases, the final determining factor won’t be confirmed until months following the crash. Commercial truck accidents have become a fairly common occurrence that usually involve one or more passenger vehicles. Usually, the truck driver emerges from the scene of the accident without any serious injuries. The biggest reason for this is having a larger, much safer cab to drive in. If you were involved in an accident with a semi truck, then it is critical for you to seek assistance with any pending insurance claims. You are most likely confused and distraught after being involved in a wreck of this nature. Figuring out what to do next can be a challenging task, especially if a loved one was lost. First, it’s important to never leave the scene of an accident until the local police have released you from further questioning. The scene can be quite chaotic and can become overwhelming at times, but victims should never leave until told so by the local authorities. If you are injured in a commercial truck accident, seek medical attention. This should hold true even if you believe you’re not injured because some symptoms, such as head trauma, may not show until hours later. If not treated, your condition could become serious in a short amount of time. It is important for victims and their families to hire a qualified personal injury attorney soon after being involved in a commercial truck accident. They can become a reliable source for knowledge on how to handle insurance claims and can help you get the most out of a lawsuit. Choosing an attorney that you can trust is vital to the success of your case. Experienced truck accident attorneys understand that there are medical bills that need to be paid and other costs associated with ongoing care that can build up. Securing a fair financial settlement is important to offset lost wages for those who cannot work due to their injuries. However, parameters must be met before filing a lawsuit. Certain trucking companies and their insurance providers will challenge the claims of an accident victim in a court case. Often, they will offer a small financial settlement or refuse to give any form of compensation to the victim before a lawsuit is filed. An experienced attorney will know how to seek justice for their client and negotiate a fair settlement. Experienced attorneys have full knowledge of the complexity that comes with submitting insurance claims of this nature. Their goal is to protect the rights of the client and get them compensation for their suffering. If you have been involved in a Commercial Truck Accident, contact Attorney Dean Boyd today. Even if you are in New Mexico or Oklahoma, Dean Boyd and his team have the experience and knowledge to fight for you. We have won verdicts for as much as $8.9 million dollars and have won many awards including the Texas Lawyer Top Verdicts and Settlements. Amarillo, Texas or 5012 50th St #103 in Lubbock, Texas. We serve clients in Texas, New Mexico, and Oklahoma.